If you are looking for the best* Christian books (when I say best, it means what’s popular), then you came to the right place. Over the past centuries, there are a lot of great books about Christianity. That’s why it is tough to choose which one you should read. We only have limited time on this earth, and it is important that we maximize them by reading the best books in Christianity and never miss the golden nuggets. 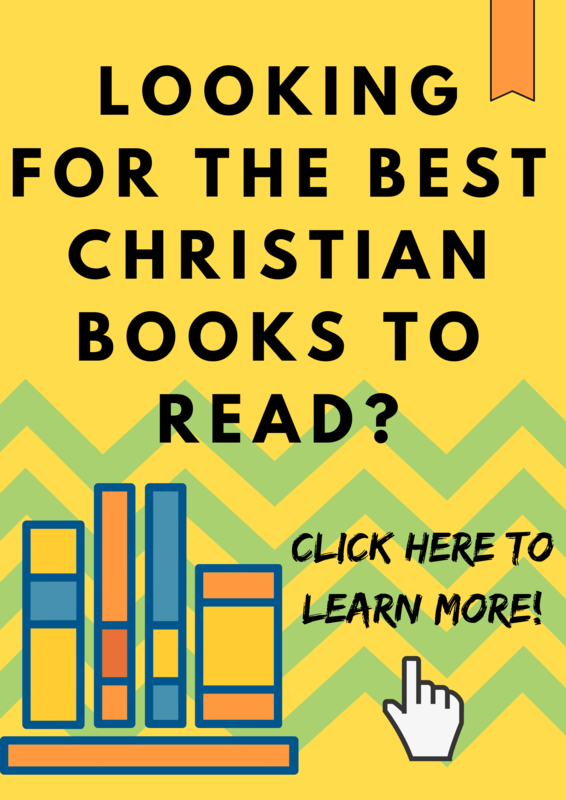 So in this post, let me share with you the best Christian books of all time. I made a research and picked the best books in Christianity that I can find. I based my choice on popularity, reviews, ratings, the impact the book made, the number of copies produced, and of course, the great lessons we can learn. So make sure you read all of them. I hope you’ll be blessed with this blog post. *Disclaimer: I don’t necessarily agree with every word written by the book authors mentioned in this blog nor agree with all their beliefs and practices. Though we might all have doctrinal differences and convictions, each book listed here provides great insight about life and living as Christians. Also, I am an Amazon Affiliate Program participant, and I would highly appreciate it if you buy books through my site. Thank you! The Bible should be on top of our list. Why not? It is the Book of books. It has been a top seller of all time in the world. It has been translated into every major language in the world. Every Christian who wants to follow God and Jesus Christ must have one. It contains the foundation of the Christian faith. There are a lot of versions of the Bible but I personally recommend King James Version or the New King James Version. So before buying other Christian books, make sure you have a Bible by your side. There are over 11 million copies of this book have been sold. For good reason: it teaches us how people receive and give love. It has been part of New York’s best-selling books list for eight years now. There’s no doubt, the 5 Love Languages is truly a successful book, and it is a must read for every Christian out there because it deals with all kinds of relationships and not just the romantic type. The lessons from 5 Love Languages can be used by people who are friends, in a romantic relationship, and married couples. Dubbed as the book that has changed the lives of millions, The Purpose Driven Life is a must-have book. It is originally a 40-day devotional that deals with the purpose of your life here on earth. After a decade it was first published, the book includes an expanded version. So you actually get more than 40 days of reflection and learning God’s purpose in your life. This book has been a source of solace and hope for many people who are suffering. Sometimes, life can be so unfair, and we seek for answers. Harold Kushner, the author of When Bad Things Happen to Good People gives an explanation about the purpose of life’s difficulties. Discover them now today and obtain hope in your life and for others who are dear to you. The 23rd of the Book of Psalms is definitely among the most popular passage and most often quoted chapter. Most people are familiar with Psalm 23; however, only a few really know its meaning. In this book, you will gain a whole new insight and understanding about Psalms 23 straight from a shepherd, Phillip Keller, the book’s author. Though a classic book, the lessons from its pages are timeless, and they don’t grow old. After reading this book, you will never see Psalm 23 in the same way again. If you are a person who wants to take hold of your sexual desires and use it for the glory of God, then you should never miss this book. Stephen Arterburn, together with other 2 authors, provides vulnerable, honest, and insightful lessons on how to be a man after God’s own heart by having a pure mind and spirit free of sexual perversion. This book examines what causes sexual temptation, how to overcome it and to ultimately win every man’s battle. Joshua Harris provides exceptional advice about the godly way of dating. More than 800,000 copies have been sold and still counting. This book is an inspiring invitation to live a life of sincerity, purity, love, and pursuit of God’s will. The best thing about the current book is that it comes with an expanded content and updates from its author. Read this book to discover practical and powerful insights on how to build a strong foundation for marriage. Though a classic book written by one of the most popular Christian authors of the 20th century, the message of Mere Christianity still rings true today. In this Book, C.S. Lewis explored the different origins of the various Christian faith and identified the common ground from which all of them are built on. By doing so, the author made a great conversation on how to prove the beliefs, doctrines, and faith of Christianity. The book gives both believers and unbelievers an excellent opportunity to hear a convincing, rational case for the Christian faith. This might be one of the most favorite daily devotionals in the last ten years. As the #1 best-selling 365-day devotional, it was written in a very unique way. It was written as if Jesus Himself is directly talking to you. The book is written in the first person where the person is portrayed as Christ. The devotional includes words of encouragement, hope, love, and comfort. Sarah Young, the author of this book, is among the most prolific writers in the Christian genre. Give this book a try and experience a deeper relationship with the Lord. If you have watched the heart-warming and touching film, Fireproof, you will be familiar with this book. Fireproof is among the best Christian movies that I ever watched. I highly recommend that you watch it too. In the film, Caleb (the primary character), used the Love Dare given to him by his father to save his marriage. At the verge of divorce, Caleb followed what the Love Dare taught him and eventually rekindle his love for his wife. The Love Dare is a wonderful book not just for the married couple, but also to those people who look forward to having a blessed and fulfilling marriage. This is actually a fiction book that tells a story of a man who met God. Its literary integrity and spiritual value have made this book attractive to many readers. The Shack is an excellent book that shows where God is in times of pain, suffering, and evil. The book is filled with drama, inspiration, and of course, thrill. If you love fiction books, why not make it of Christian genre? Finally, The Shack is the combination of a writer’s imagination with his passion for following Christ’s footstep. No doubt, a unique book that you shouldn’t miss. Knowing God was written by J.I. Packer. This book is described by Christianity Today as one of the top 50 books that have shaped evangelicals. Knowing God concentrates on how people can discover the majesty, love, and joy of establishing a strong and intimate relationship with God. If you want to gain a deeper understanding of what and who God is and how you can also connect with His Son, Jesus Christ, then this book will surely help you achieve this goal. Timothy Keller is the founding pastor of Redeemer Presbyterian Church in New York City. In his book, he addresses the growing skepticism, doubt, and bias of people against God. He uses a broad range of resources to cover all possible aspects of arguments. 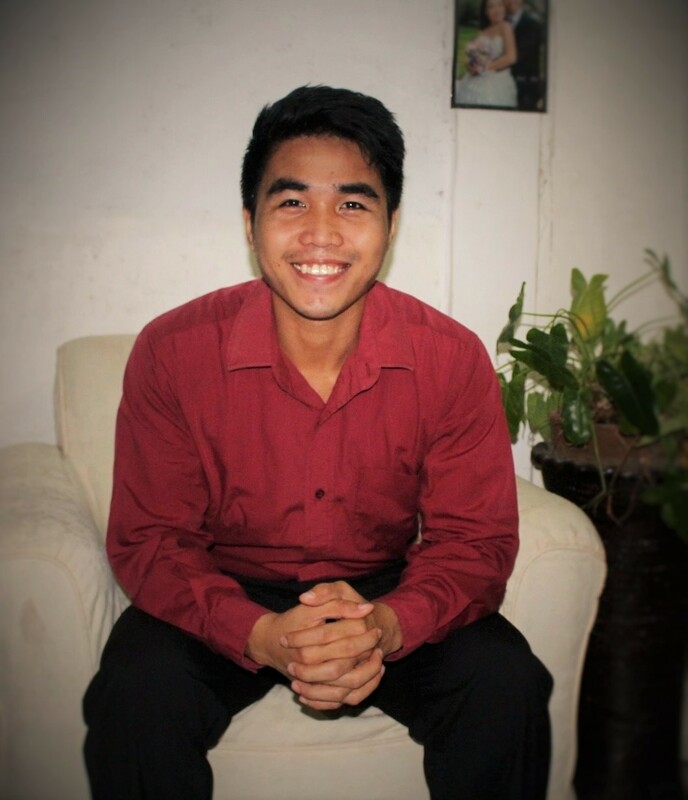 He uses literature, anthropology, popular culture, philosophy, and intellectual reasoning to explain his case. At the end of the book, you will discover why believing in the God is a sound and rational act and not just based on blind faith. To answer the challenge of being always ready to answer for the hope within us (I Peter 3:15), it best to know how to defend our faith. This book will give you new and fresh insight on how to exactly do that. As a former atheist, Lee Strobel made a powerful comeback to the Christian faith. He is an award-winning reporter and author who uses his investigative skills to address the primary opposition and reason for doubting Christianity. He uses rational thinking and effective use of arguments case by case to prove the authenticity of the faith every Christian holds. In this book, he addresses the argument about why God allows suffering, how miracles prove God, why so many people have never heard of Christ, and so on and so forth. Learn how to answer life’s greatest questions about the Christian faith through this book. Is there really a credible evidence of Christ’s existence? This is an important question that the book of Lee Strobel satisfactorily answers. In this book, The Case of Christ, the author interviews Bruce Metzger for the purpose of examining the different possible evidence of Jesus Christ. The book considered the historical evidence, scientific evidence, and psychiatric proof of the Man who claimed to be the Son of God. You will love to discover the many reasons to keep holding on your belief and faith. Let the book shows you that Christianity is not built on a mere blind faith. If you are familiar with the Proverbs 31 Ministry, you probably know Lysa TerKeurst. She is the author of this book. She shares her personal experience of fear, rejection, anxiety, and self-doubt. Uninvited offers hope to the hopeless and love to the loveless. Lysa’s book will help you stop feeling left out, get more control of your life, know exactly what to pray for, and overcome your core fears and insecurities that may separate you from God. Once you start reading Lysa’s book, you will have a hard time putting it down. Lysa’s writing style and her insightful life principles will make you want to read the book from cover to cover in one sitting! 18. What’s so Amazing About Grace? You might have heard of the song, Amazing Grace. It is a very popular song that has been translated into major languages. However, do you know what’s so amazing about grace? This is exactly what Paul Yancey want you to discover through his book. Explore the unconditional love of God in your life and why His grace should lead you to repentance and be His servant to good works. Do you really know what the Bible says? Most Christians believe that they do. However, in this book, Joe Kovacs shows you how little Christians know about their Bible. For example, the Bible tells you that Jesus Christ didn’t die on a Friday and rose on a Sunday, Christmas and Easter weren’t in the Bible, Christ said that no man has gone to heaven, and a lot more. Many Christians today are misinformed, misled, and even lied. The book, Shocked by the Bible, will truly SHOCK and surprise you about the least known facts written in your Bible. So if you want to take your Bible knowledge to the test or you just want to discover what the Bible REALLY says, then give this book a try. You’ll never regret it! Joyce Meyer addresses the possible enemies that may destroy our mind. These include worry, doubt, depression, anger, confusion, and feelings of condemnation. By using anecdotes and stories, Joyce made her point very clear, concise, and inspirational. The book inspires readers to bring every thought into captivity and avoid the thoughts that may undermine our faith in God. Check out this book; you’ll surely get something inspiring and motivational. Though not a popular book, it sure is packed with powerful words and advice. Jan David Hettinga’s book tells us what it really means to follow Jesus Christ. The book focuses on the question, “Who are you following?” Leadership framed by the character of Jesus can powerfully change the way you live your Christian life. Who you follow says a lot about you – that’s the issue you need to consider while this book. There’s no denying; it’s so easy to trust God when everything is going according to plan. However, can you still trust God when even when life hurts? Trusting God is a book that discusses the different issues in our lives especially when life seems unfair, unjust, irrational, and even dreadful. Jerry Bridges, the author of the book, seeks to help readers trust God not just during the good times, but also during the bad times. The author made a lengthy study of the topic of God’s sovereignty and His power over any circumstances. By establishing in our hearts and mind the fact that God is truly in control, then that is the time we can trust God no matter what. Do you want to learn how to trust God? Then, let this book give you the necessary insights. My Utmost for His Highest is a classic book written by Oswald Chambers (1874-1917). He died at an early age of forty-three while serving as a chaplain to British Commonwealth troops in Egypt during World War I. Thankfully before he died, he wrote this beautiful and inspirational daily devotional. The book contains the meditation of Chambers and it has been made available to the public through My Utmost for His Highest. Over 1 million copies of Spiritual Leadership have been sold all over the world. J. Oswald Sanders presents the principles of leadership in both the physical and spiritual realm. It is a classic book that helps every Christian develop leadership in their own lives, families, communities, and church. Some of the topics covered in this book include the cost, responsibility, tests, qualities, and requirements of leadership. You probably have heard about Bill O’Reilly through his books Killing Kennedy and Killing Lincoln. Now, he has another book that should be interesting for the Christian audience, Killing Jesus: A History. In this book, Bill details the events leading up to the murder of the most influential and popular man in the history, Jesus Christ. Killing Jesus gives insight into the political and historical events during the time of Christ. It helps you understand the inevitable death of Christ and how it changed the world forever. Henry Cloud, the author of Boundaries, dispels the misconception that in order for you to be good Christian, you need to be more accommodating and unwilling to say no. However, this kind of thinking has led many Christians to become self-righteous and judgmental. Henry argues that by setting the right and reasonable boundaries, Christians will be more effective in their walk to eternal life. Discover how to set boundaries and take control of your life with Boundaries. Corrie Ten was a survivor of the World War II. She was admired for her courage, faith, and mercy to those who have wronged her. She and her family help Jews escape the Nazis, and they end up being sent to a concentration camp. Thankfully, she survived and she took with her the inspiring story of triumph and faith that reigns supreme over evil. Her powerful and encouraging story gives other believers a reason to hold on to their faith even during the hardest time of their lives. Dr. Benjamin Carson might have been more popular recently for running for the US presidency, but before that, he has gained worldwide recognition as the doctor who successfully separated Siamese twins joined at the back of the head. In this book, you will read about the daring life of Dr. Carson, from his youth to the operation table. He was raised in inner-city Detroit and has lacked motivation early in his life. However, his success story has been among the most dramatic and inspiring for people who were born in a disadvantaged position. Read Gifted Hands and see how God transformed this poor kid into a man who has made significant scientific and medical breakthroughs! The Life Application Study Bible is the current best-selling study Bible in the market today. Why not? It provides a whole lot of summaries, charts, maps, personality profiles, life application notes, guides, commentaries, and lessons from every section of the Bible. In this book, you are given amazing guidelines on how you can get the most out of your daily Bible Study. What is real success? Is it being on the top 1 of Forbes’ Richest People? Or is it being the most powerful and respected politician in your country? People look at success differently. In this book, you will discover what it really means to be successful, not based on the standards of people, but based in the eyes of God. The Seven Laws of Success is a powerful book that shows you how to attain success in life by concentrating your effort on seven principles. The best part of all this is that this book is FREE! If you are a history buff, then you should not miss the history of Christianity. In this book, Diarmaid MacCulloch digs deep into the history to investigate the very origin of Christianity. As an award-winning historian, MacCulloch takes you a tour of history and show you the major and minor events that shaped modern Christianity. He also retells how the biggest Christian denomination came into being. These include Catholic, Orthodox, and Protestant Christians. This book is a must-have for Christians who want to understand the root of their belief. There are 66 Books in the Bible and studying them page after page can be very overwhelming. That is why Paul Kent, the author of Know Your Bible wrote a Bible study guide to help you understand these books in an organized and systematic matter. Know Your Bible gives you an overview of all the books of the Bible, their historical background, time frame, synopsis, summary, and practical application. Paul’s book is an excellent resource for individuals who want to know their Bible more and ministers who want to effectively share God’s word. Entrusted is a great Bible study book that explores the lessons we can glean from the book of II Timothy. It talks about the wonderful gift of the Gospel that we shouldn’t just keep by ourselves. It is meant to be spread and shared with the whole world. Entrusted gives you powerful, inspirational insight into the book of II Timothy. In this book, you get 5 personal study segments that are highly beneficial to your spiritual growth! There are a lot of Christians who are familiar with the story of the Prodigal Son. However, only a few really know what it means. Jesus Christ gave a powerful illustration of God’s love and forgiveness to all mankind. In this book written by Timothy Keller, you will discover the deep meaning of Christ’s parable of a man who forsook everything to pursue his own pleasures. Learn how to recover from your mistakes and enjoy once again the grace of God! Give this book a try and find out how to exactly do that. Want to add a super helpful resource to your library for Bible Study? Then this book is for you. This expanded version of Strong’s Dictionary includes Vine’s Complete Expository Dictionary of Old and New Testament Words: The New Strong’s Expanded Exhaustive Concordance of the Bible. In this book, you will find more information about the Hebrew, Greek, and Aramaic languages used in writing the Bible. There are also cross-references that make it easier for you to find related passages. If you really want to know your Bible, it is the time that you read its truest and purest meaning. Vine’s Expository Dictionary is a useful tool in knowing your Bible. 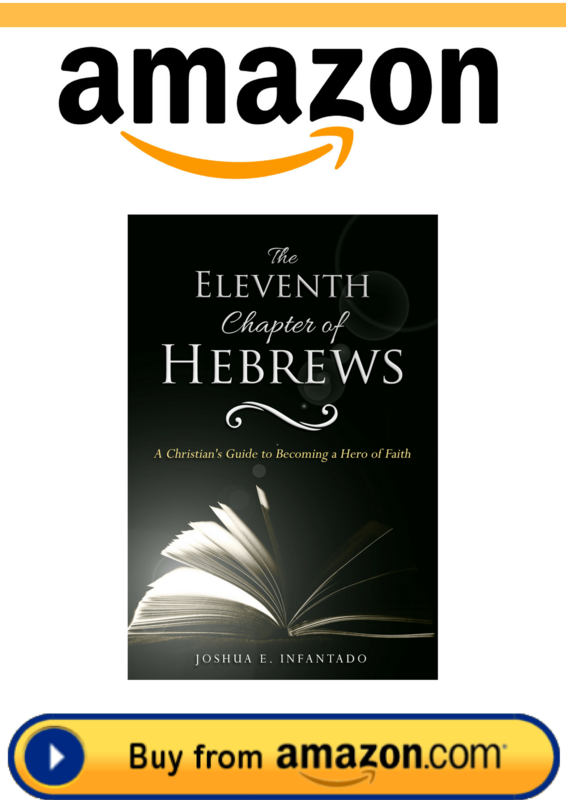 The book makes it every easy for you to understand Bible terms, Hebrew and Greek, even if you have little or no scholarly background about these languages. There are thousands of biblical words listed from A to Z for each Testament. Make your Bible study session more profitable and easier with this book! Studying the Bible involves familiarizing and memorizing verses. However, for most of us, it’s a big struggle to inculcate in our memories the chapter numbers and verses. That’s why this book, How to Memorize the Bible Fast and Easy, is highly recommended to help you get familiar with the Bible and instantly quote scripture. Having Bible passages in your mind and heart makes meditation a lot easier. Written by Dietrich Bonhoeffer, The Cost of Discipleship is a classic work. Prior to the arrest of the author by the Nazis in 1943, Dietrich Bonhoeffer was head of a seminary of the German Confessing Church. In this book, he focuses on the Sermon on the Mount given by our Lord and Savior. Though a classic book, its inspiration and lessons are very much applicable to all Christians today. It comes with great insights on how we can live and apply the lessons from the longest sermon made by Christ. You might have been looking for answers on how to be successful in life. However, you might also be looking at the wrong place. Steven Scott, a best-selling author, examines the life of King Solomon, probably the richest man in the history. In this book, he gleaned the important strategies on how to achieve financial and personal success. One of the high points of this book is that Steven Scott illustrates the wisdom of Solomon with anecdotes and modern application. If you want to learn from the wisest human king and richest man who ever lived, then this book is yours. If you want to study someone else’s life, that should be Jesus Christ, Himself. Another book from Steven Scott, The Greatest Man Who Ever Lived examines the life of Jesus Christ and the winning principles that made Him great. By following Christ’s example, we can learn how to live this life fully according to God’s will and purpose. Though a classic book written by one of the most influential pastors of the 20th century, the Mystery of the Ages is a compelling book for Christians, who are seeking the truth hidden between the pages of the Bible. In this book, Herbert Armstrong discusses seven mysteries, from the mystery of man to the mystery of the Kingdom of God. This eye-opening book is a must-have for every Christian today. The best thing about this is that this book is FREE. As what the Bible teaches, freely receive, freely give. So grab your copy now! The life of martyrs is truly inspiring. In this classic book, you get to read about the life of martyrs who suffered and died at the hands of the Catholic church. This influential book shaped the minds and impressions of early Protestants in England and Scotland. Though we live in different times when Catholics and Protestants live peaceably, it is worth looking back at the life of those martyrs who counted their lives only worthy to be given in the service of God. This book is free in Kindle format, and you can also buy a hard copy of this book through Amazon. Imitation of Christ is a powerful book about how to live a life that followed the examples of Jesus Christ. This book was written by Thomas Kempis in the 1400s, but its instructional guide is still applicable in our lives today. The Imitation of Christ is among the most enduring books that have been translated into many major languages around the world. Authored by Francis Chan, a pastor and church planter, Crazy Love portrays the great and tremendous love of God to mankind. This book tackles the complacency and lukewarmness of many Christians today and discusses how to be truly transformed by the love of God. This book calls everyone to forge a strong, passionate, loving relationship with our Creator. As one of the best-selling Christian books of the 21st century, Crazy Love is truly a must read. Watchman Nee wrote this book as a way to help Christians realize what should be a normal part of their daily lives. Nee argues that experiencing the love and doing the will of God must be innate in our mind and heart that it has become part of our subconsciousness. The Normal Life examines extensively the lessons we should learn from the Book of Romans. Americans live in an affluent lifestyle. In a life full of comfort and lacking nothing, it is too easy for American Christians to forget how it really means to become a follower of Jesus Christ. The Bible shows that the Christian life demands a lot of sacrifices. You have to forsake security, possession, money, wealth, family, land, and even your own life. However, when the push comes to shove, how many Christians do you know who will really do that? In this book of David Platt, you will be challenged to powerfully change your perspective and start doing the will of God. Take some time to read Radical, and you will undoubtedly be inspired by the stories, lessons, and admonitions written in the book. There’s a reason why there were millions of copies of Celebration of Discipline has been sold worldwide. Richard Foster’s book is hailed to be as one of the best modern books on Christian spirituality. It was originally published in 1978, and it explores the important type of discipline that each Christian must have to ensure they follow the footsteps of Christ. There you have it! Our ultimate list of 50 Christian books of all time. I know that you can obtain a lot of lessons and valuable insight from these books. If I missed something or you want to add the best Christian books you believe that should be part of this list, leave your comment below. I’d love to hear from you!